by Theresa Crouse for Survivopedia | Technically, to prepare for just a polar vortex, you only need to worry about the cold, but since it often coincides with a snow storm, we’re going to assume that the worst case scenario and prepare for both a polar vortex and a snow storm, (Cloud streets over the Great Lakes in this Jan. 27, 2019 image. NOAA, NOAA Environmental Visualization Laboratory). The term “polar vortex” isn’t one that most people became familiar with until just recently. We had to face it last winter, and we have to face it again these days. Now, however, it’s a serious concern and needs to be figured into your potential disaster events if you live in areas that may be affected. Read the following article to find out what a polar vortex is, what it isn’t (if you haven’t been affected by one), and what you need to do to prepare! We have two polar vortexes – one around each pole. It’s an area of low pressure that circulates counterclockwise in the stratosphere around the pole all the time, but weakens in the winter time. Sometimes it wobbles a bit and throws a surge of bitter cold south into the US, and other countries in equivalent latitudes around the world. When this happens, it can drop temperatures below zero. It’s a phenomenon that is always around, but we just don’t notice it until it puffs a blast of freezing air toward us. It actually plays a big part in the weather worldwide throughout the year. Think about it – how often do you ever hear of cold fronts coming from the south? Usually, polar vortexes force temperatures down into the single digits in areas of higher latitude such as the Dakotas and Michigan, but the temperatures go up farther down the map. Still, even if temperatures drop into the teens or twenties, even a light wind will make that temperature seem exponentially colder. There’s a lot of misinformation out there about polar vortexes, so let’s clear some of them up. First, they’re not a sign or result of global warming. Though many weather anomalies of recent years are linked to the warming of the Earth, polar vortices aren’t. They’ve existed exactly as they are since we started tracking them and the frequency or intensity hasn’t changed. Next, a polar vortex doesn’t bring snow with it. 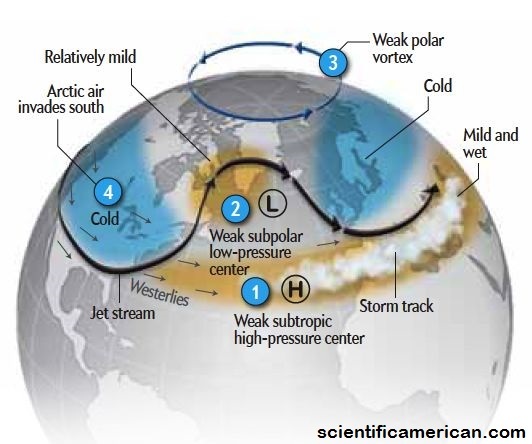 Weather events such as rain and snow occur in the lower level of the atmosphere and polar vortices occur right above that. They bring bitter cold that can make snowstorms much worse, but they don’t actually bring snow or freezing rain with them. The first and most important thing that you need to know about a polar vortex is that it can be lethal. Even if you’re in a warmer part of the area that’s affected by the vortex, temperatures combined with wind chill can easily drop to temperatures that can cause frostbite and hypothermia quickly if you’re not bundled up. Polar vortexes also tend to set in fairly quickly and hang around for at least a few days. If you don’t have to go outside during one, don’t. Avoid driving anywhere if you can, because it’s a guarantee that the roads are going to be icy even if it does snow. If snow or freezing rain is going to happen right before or during a polar vortex, that danger is going to be amplified because temperatures that low can cause several disasters including car crashes, hypothermia, collapsed rooves, limbs, and powerlines, and burst water pipes. Obviously, even one of those can be horrible, but they may also occur in tandem. It’s not outside the realm of possibility that your roof can collapse while your power is out. That’s why you need to take precautions and be prepared. There are relatively small steps that you can take in advance that will help keep you safe. Other steps will need to be taken during/after the snow, but they’re relatively minor. Technically, to prepare for just a polar vortex, you only need to worry about the cold, but since it often coincides with a snow storm, we’re going to assume that the worst case scenario and prepare for both a polar vortex and a snow storm. You may have a tough time getting to the store because of ice or snow, so make sure that you have at least a week’s worth of food and water stored back. Yes, you’ll have access to plenty of snow, but if you want to drink that, you’ll have to filter and purify it. Stockpile at least 2 gallons of water per person per day. You’ll need to drink more because, oddly enough, water needs increase with extremes in temperature. Regarding food, figure on at around 2000 calories if you’re going to be outside for more than just a few minutes at a time because your body burns a lot of fuel just to keep warm when temperatures drop that low. You typically have several days of warning, so there’s no excuse not to be prepared. Seriously. If you don’t have to be outside, don’t be. In temperatures in the single digits, it only takes 15 minutes or so for frostbite to become a possibility, and when the temperatures are below zero, that time decreases even more. Hypothermia is also a problem and, like frostbite, increases the colder it gets. Wind plays a big factor in the onset of both conditions. Also, it’s a guarantee that there’s ice on the road, so there’s no reason to risk it if you don’t have to. Be prepared in advance, because crashing your car for a gallon of milk is bad, but dying for it just isn’t worth it. If you can access them, wrap your pipes to protect them from freezing. This tape keeps your pipes warm enough that the water in your pipes won’t freeze. This not only saves you a ton of money if your pipes burst, but also ensures that you have access to your water and heat as long as you have city water or a generator for your pump. There’s nothing cozier than sitting around a tree limb that’s fallen through your roof and into your living room. Oh wait – yes there is. This is a relatively easy disaster to avoid – simply keep your trees trimmed back from your house. 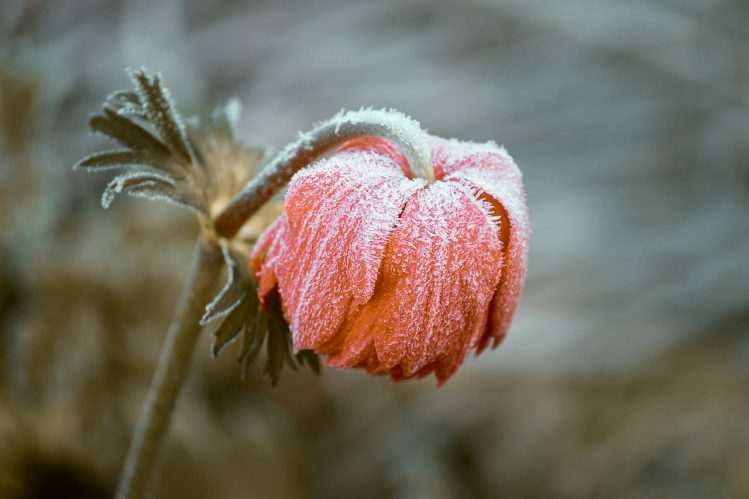 There is very little you can do to protect plants that are already up and blooming than to build a wooden frame around them and cover them with a clear plastic. If you absolutely must go outside, bundle up. Make sure that your fingers, ears, nose, and toes are particularly protected because when you get cold, your body automatically pulls the blood flow to the center of your body to preserve heat. This leaves your extremities vulnerable to frostbite. You also naturally lose more heat through the top of your head, the bottom of your feet, and your palms, so make sure they’re covered well to preserve that heat. Mittens are actually better than gloves because they keep your fingers together and allow the heat that emanates from your palms to warm your entire hand. Your animals are going to need some special attention depending upon what kind they are. Regardless of their species, they’re going to need to stay warm and they’re likely going to need extra food and water to meet the caloric needs required to stay warm. Extremes in temperature can also cause animals such as milk cows and chickens to stop producing milk and eggs, so it’s especially important to keep them comfortable. Winterize your barn and coop by sealing it up, but leave ventilation going through in order to keep the air fresh. Know your animals and adjust to meet their needs. Before winter even sets in, check your roof and rafters for damage and stability. This is one of the biggest risks you have in the case of a polar vortex and snow storm clashing. If temperatures drop enough to make building materials brittle, then heavy snow is piled on top, the odds of your roof collapsing increases quite a bit. Your heating system is working hard enough to keep you warm even if your house is well insulated and sealed. 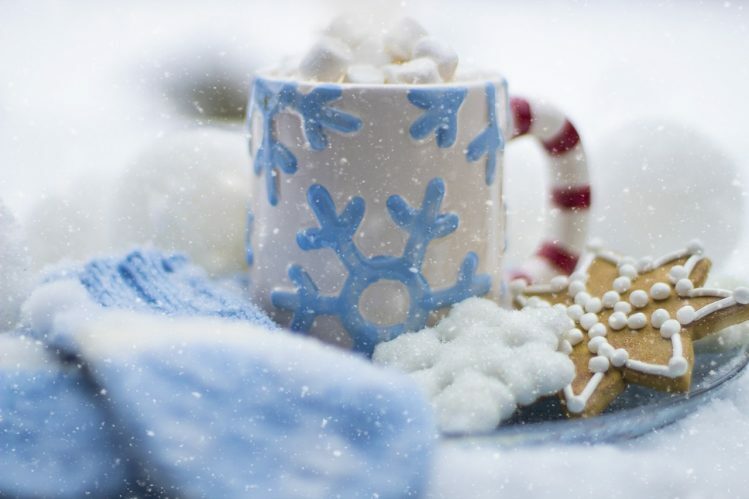 Cracks around windows and doors can really dampen that effort and make it nearly impossible to keep your house warm, so take care of that before winter sets in. It will also help save you money in the summer by keeping cold air in. This may not seem like a big deal, but it can save your life. You need good tires, but not as much for traction (nothing really sticks to ice though good tread does do much better in snow and mud) as to make sure that you don’t get a flat. Chains for your tires, adequate anti-freeze, winter-grade thinner-viscosity oil, and just a general winterizing is important. Getting stranded in freezing weather is extremely dangerous. On that note, make sure that you have a get-home bag in your car. You need a full change of clothes, extra socks and gloves, and even extra shoes. Also, have several bottles of water, hand warmers, several protein bars or MREs, and flares. Blankets, at least emergency blankets, should be in there, too, and a fire-starter wouldn’t hurt. Besides these essentials, you just need to know your circumstances and build the rest of the bag around your needs. If you rely on electricity for heat, you REALLY need to have an alternative heat source. Installing a wood burner is probably your best option, but a generator or wood for your fireplace (if you have one) are good, too. Whatever you decide on, have plenty of fuel and the equipment to start it. Be realistic and base your heating needs on your house and your family, not some ideal version of them. You’re going to get bored pretty quickly, especially if you lose cable and power. Make sure that you have several different games, books, or hobby supplies on hand to alleviate stress and boredom. Being prepared for a polar vortex is extremely similar to preparing for a blizzard, except you need to make some modifications for the extreme temperatures that you may have to deal with. Read the original article on Survivopedia. Theresa Crouse is a full-time writer currently living in central Florida. She was born and raised in the hills of West Virginia, where she learned to farm, hunt, fish, and live off the land from an early age. She prefers to live off the grid as much as possible and does her best to follow the “leave nothing behind but footprints” philosophy. For fun, she enjoys shooting, kayaking, tinkering on her car and motorcycle, and just about anything else that involves water, going fast, or the outdoors.